If you want to teach english literacy, the medium of instruction in your school is english. If you want to skill students with the capacity for creativity to the same level, the medium of instruction in the school needs to be creative. 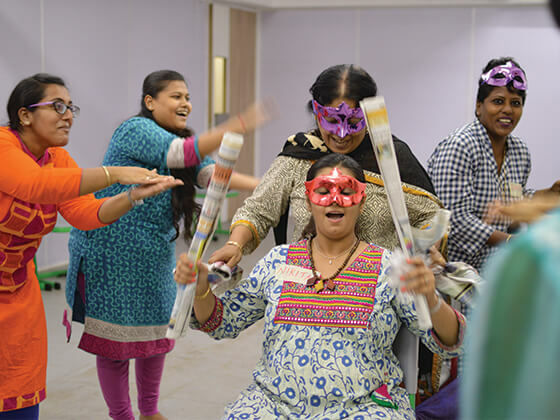 Drama speaks the language of creativity, and schools and their staff can be empowered with its tools and methods. 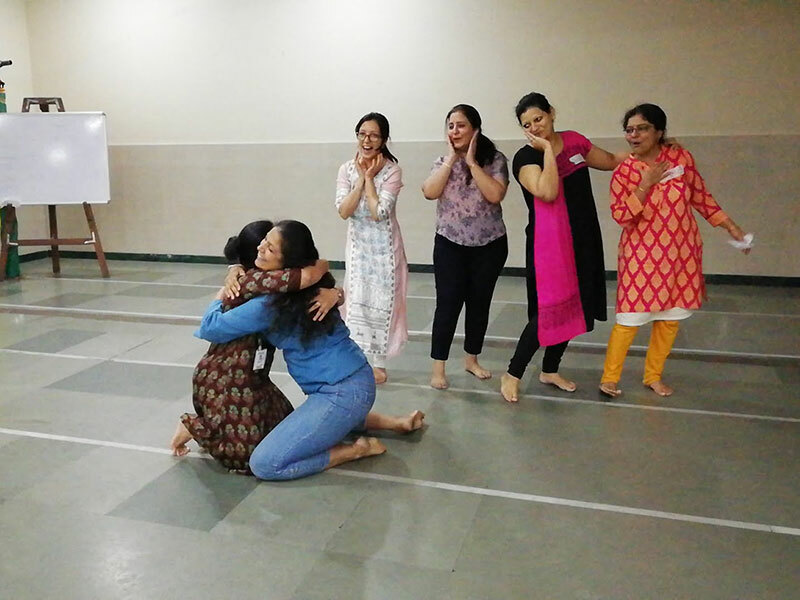 Our experience over the last 10 years with over 1000 teachers and 30+ schools, has proved that drama based methods are highly transferable and of great value to the educators who use them and bring about long lasting transformations to the learners who experience them. 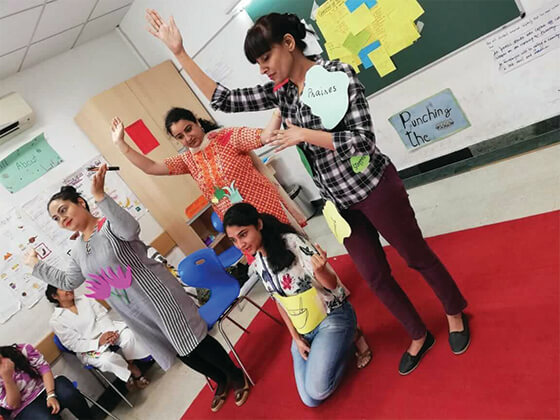 Our programmes are designed to permanently embed the capability for deploying drama based learning methods as a regular and ongoing part of the schools teaching and learning practices. At this stage of a child’s life, active imagination, play, and creativity are the key drivers of learning. This program works with teachers and coordinators to maximize these three elements in their practice. In addition the program provides the department strategies to ensure these practices are firmly ingrained in the school’s methodology. This is done through series of drama based workshops and implementation-support sessions for Early Years (Pre-primary) Teachers. 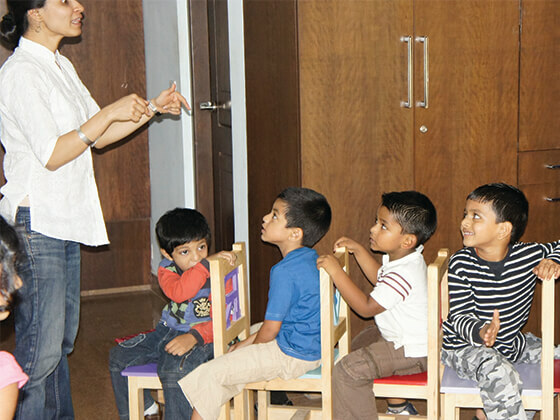 The primary years lay the foundations of a child’s growth as a healthy and positive individual. 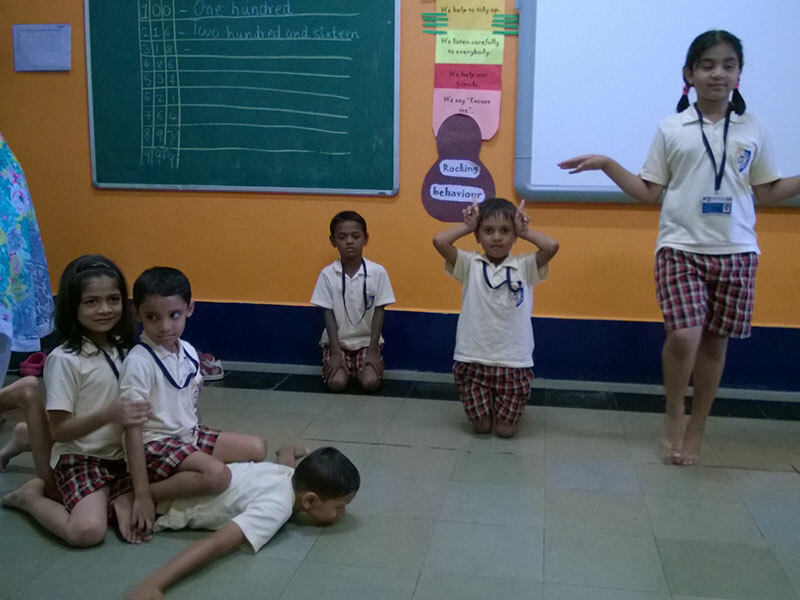 Teaching and learning through drama adds value to this process as ‘learning’ happens by ‘doing’. 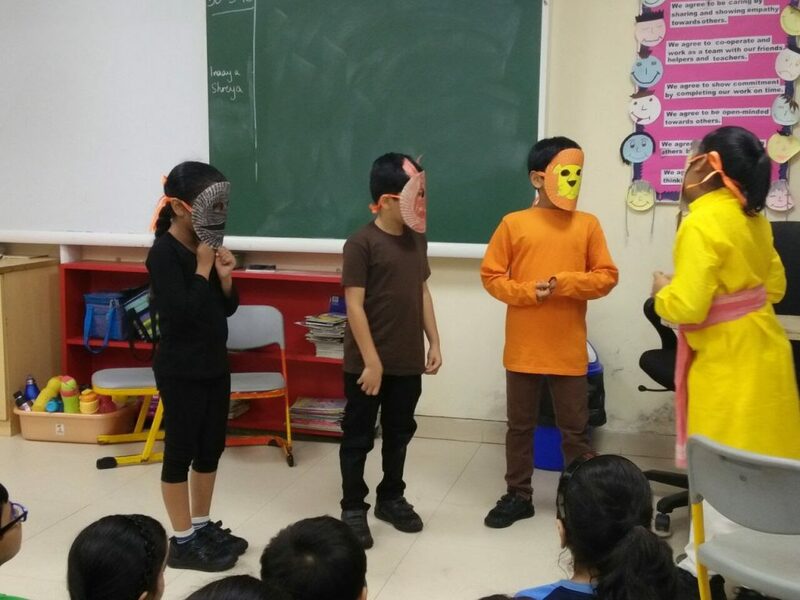 This programme provides the Primary Department of your School with drama-based methods to be used by the Primary Teachers to enhance learning in any subject they teach in the classroom. Learners experience drama not as a class or period, but as a practice and method used by their different teachers across the timetable. 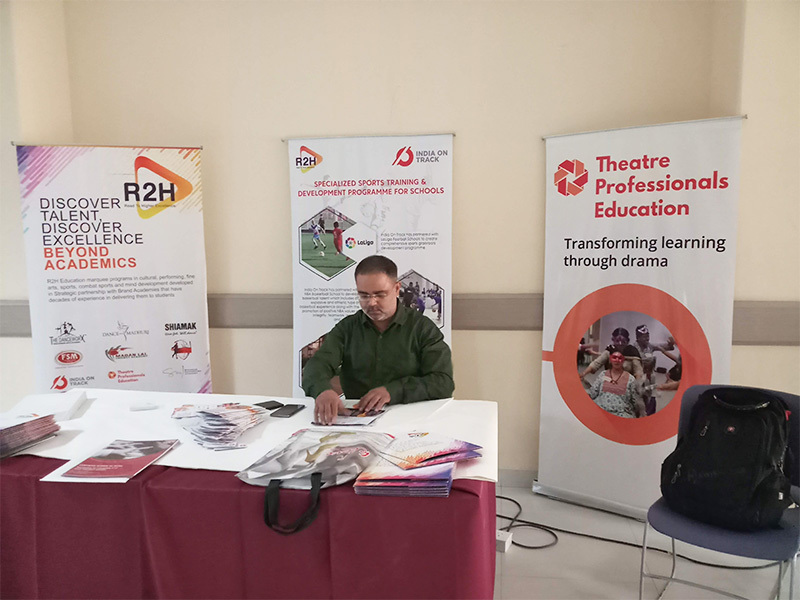 The programme works with the school coordinators and curriculum teams to provide the toolkit, assist with adaptation to the curriculum across grades 1-5, and give the department assessment processes that clearly demonstrate 21st century learning goals. Throughout, the program is designed to ensure that the skills and methodologies can be self-perpetuated by the primary department into the indefinite future. This is done over two years, through workshops, observations, feedback sessions, planning sessions, resource sharing and community participation. Be introduced to individual learner approaches to get all students engaged . Develop a wider range of skills and techniques eg. how to organise group work effectively; how to lead discussions; how to use questioning skills etc. Setting up a culture of curriculum planning which includes regular use of drama based methods throughout. School and teacher certifications on completion of relevant stages. Grades 6-8 are a critical stage in your learner’s academic, social and emotional development. 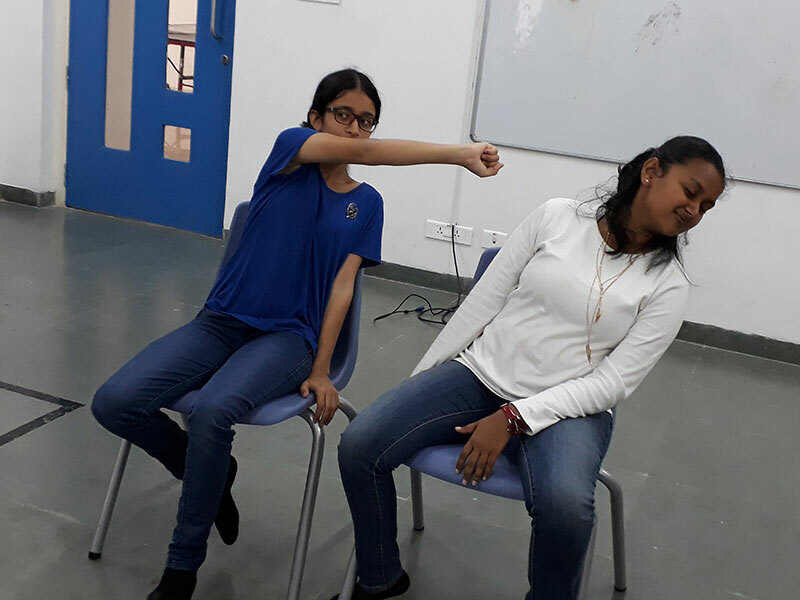 Learners who take drama at this stage perform better academically, develop a better understanding of self and demonstrate improved emotional and behaviour regulation as they negotiate pre-teen years. This is in addition to further developing creativity, confidence, communication, collaborative and critical thinking skills. 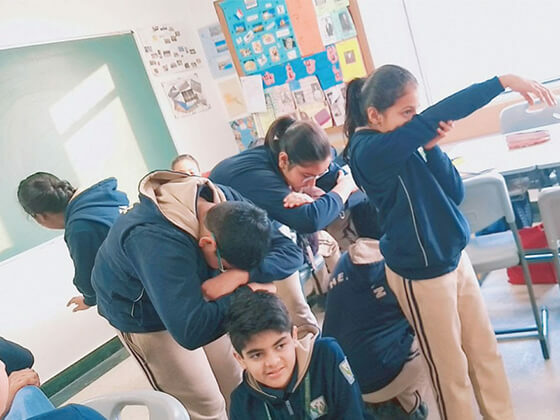 Our program assists the school with identifying and cultivating a drama teacher, provides a curriculum that is integrated with content from other subjects in the timetable. Over three years, we build out the program from grade 6 through 8th, while up-skilling the drama teacher and supervising their progress. Develop learner’s skills and competencies in line with the globally recognized curriculum standards across three years, tracked by 6 assessments across three years. 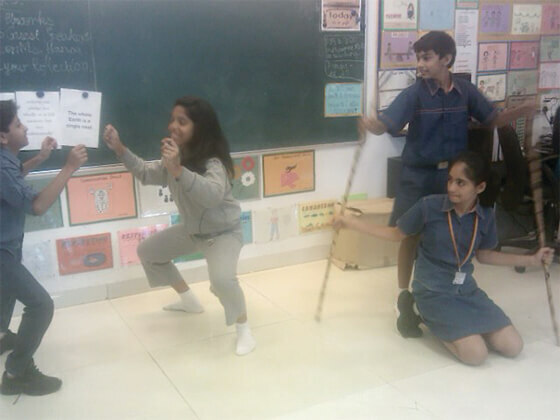 Develop 21st Century learning skills through drama (Creativity, Communication, Collaboration & Critical Thinking). Develop personal qualities, empathy, self-awareness, mindfulness. Offering Theatre Arts or Drama as a high school exam subject allows your learners to opt for a broader range of curriculum choices, and is ideal for students hoping to pursue a career in the creative industries, or as a subject that provides a rounding out of their academic profile – that is looked on very positively for most international college admissions. 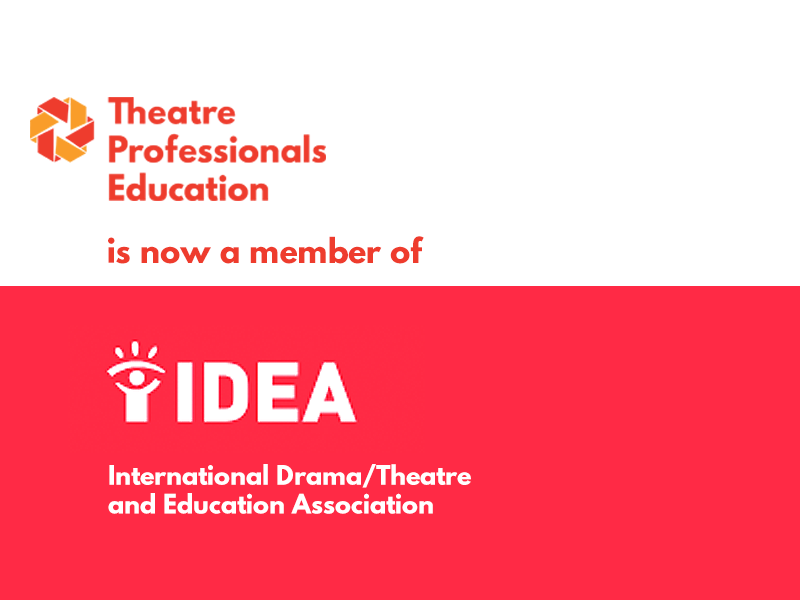 Taking theatre at the exam level involves discovery through rehearsal and experimentation, working collaboratively and individually, research and study of characters, plays and texts that culminate in performance, understanding and performing the various roles that go into the creation of theatre. The program seeks to look at the multiple steps of creating a piece of theatre, and finding ways to communicate ideas and feelings to an audience, giving students an opportunity to study forms, styles and genres, and develop a critical understanding of plays, literature and the act of theatre as a cultural and artistic expression of society. 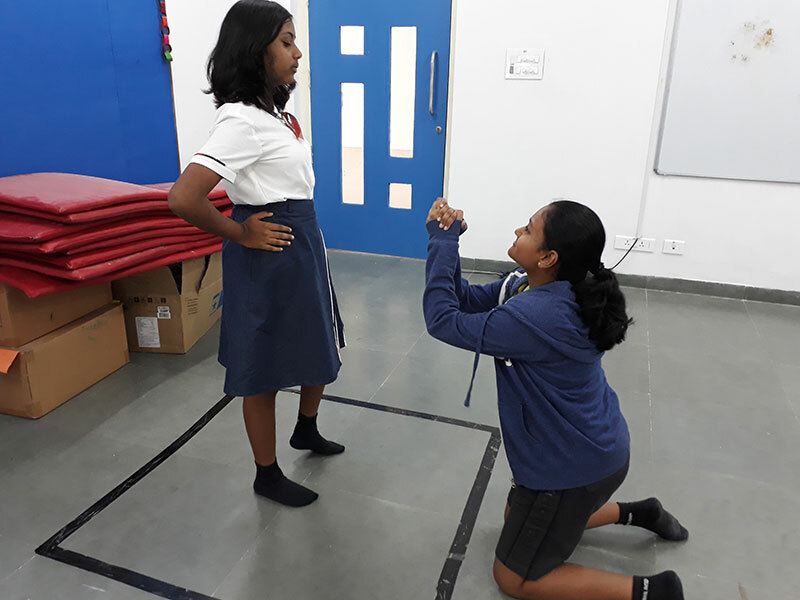 Most commonly opted for as a group 6 subject in the IB-MYP and IB DP, or as an IGCSE Cambridge subject, theatre is also offered by the CBSE and ICSE boards. This is generally offered as a practical based subject, with most submissions in the form of ongoing internal assessment. We offer a qualified theatre instructor, certified to the requisite board, who is capable of successfully teaching students to sit for theatre arts or drama as a high school paper. 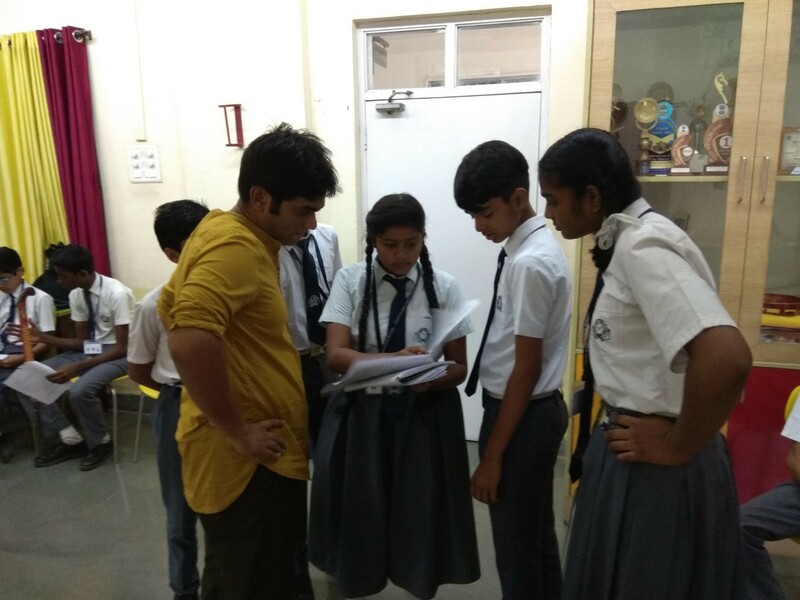 The curriculum and planning is closely monitored by our team, to deliver strong results and allow students to reach their highest potential. Our team is currently IB-DP, MYP, and IGCSE capable.